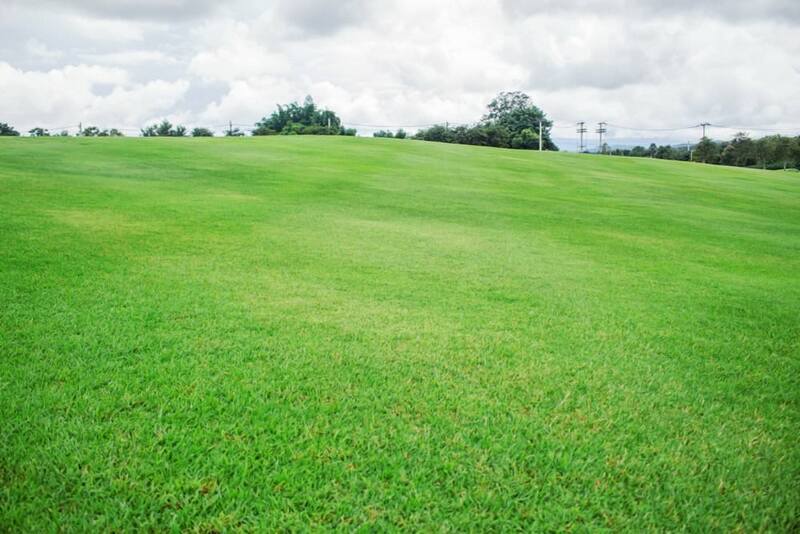 We all want to have a lawn that is green, healthy, and attractive. However, what most do not realize is that to achieve this you need to be willing to put in the hard work. 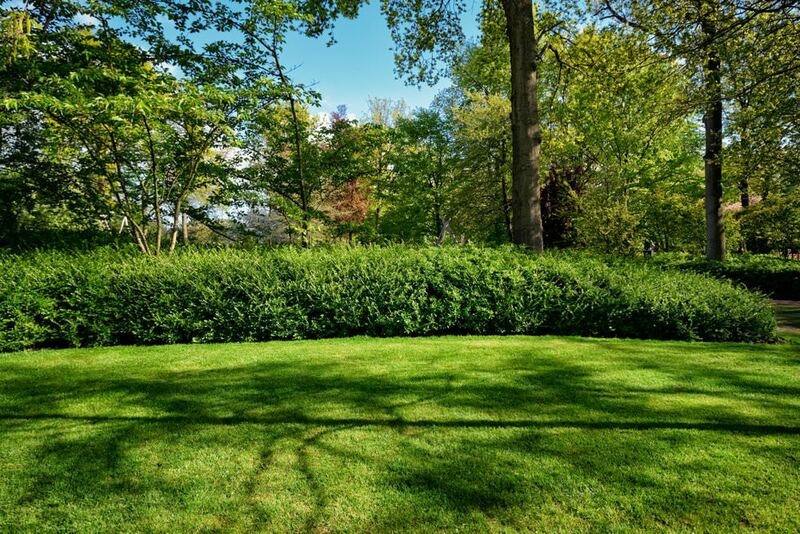 Maintaining an attractive lawn means you need to be on top of your game as far as weeding, spraying, fertilizer application, watering, and mowing is concerned. Luckily, we no longer live in medieval times where managing a lawn would equal back-breaking work. Today, you can easily manage and have a well-kept lawn by investing in simple equipment. The best tow behind sprayer is one such equipment to have. This versatile gardening tool is useful for spraying purposes, watering, and even fertilizer application. What’s more – you can easily attach it to a lawn mower or an all-terrain vehicle, and reduce the time it takes to get your lawn looking bright and healthy (besides, it sure outperforms the backpack sprayer). Now you know you need to get yourself one. The question is which one is the best? Given the number of options available in the market today, picking the best tow behind sprayer can be a rather confusing task. In this guide, you will not only find factors to consider when shopping for one — but we also compare and contrast some of the best sellers, so read on. If you are looking for versatility, then you have hit the jackpot with the NorthStar tow behind boom broadcast and spot sprayer. This sprayer is designed to give you the freedom to either practice precision application or cover a much wider area. It has open flow pump with a maximum flow rate of 2.2 gallons per minute. You also have the flexibility to adjust the spray gun between stream and cone applications as you see fit. With its broadcast nozzle, you can achieve a spray pattern of up to 14 feet wide, a broadcast width of 62-63 feet and a spray height of 19 feet. Another impressive feature is the heavy droplet pattern. This helps you hit your target when spraying or even watering and avoid wastage due to drift. Its proprietary tank is an additional benefit. Not only is it UV resistant, but it is also compatible with all chemical products that apply to gardening. It has been designed for durability and longevity with thicker walls that keep it from sagging or bulging under the weight of your products. This tank allows you to carry up to 21 gallons of product at any given time. To ensure the longevity of the tank, manufacturers mounted it on a heavy-duty, pure steel cart that can easily move over rough terrains. Also, to make it easier to use, the manufacturers kept its weight at 60 pounds. This is within the manageable limits of any riding lawn mower. This sprayer also requires a 12V power supply for it to be functional. It is also quite space friendly. You can easily store it away as it has removable wheels and axle, boom arms that can be folded and a tow bar that is retractable. You also get to enjoy a two-year limited manufacturer’s warranty. NorthStar’s ATV Broadcast and Spot Sprayer is another new entry in the ATV sprayer world. However, given NorthStar’s reputation in the gardening industry, you can expect that this sprayer will outcompete a number of the ATV sprayer veterans. Like any of their other products, a lot of effort has been put in the designing and execution aspects of this broadcast and spot sprayer model. This particular model has been designed primarily for residential use. 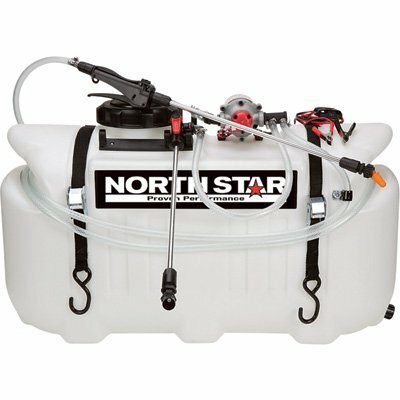 To ensure that customers stick to this, NorthStar provides a two-year warranty if the sprayer is being used for residential use as intended and only 90 days if you choose to use it for commercial purposes. Nonetheless, this is still a great buy especially if you have a rather large lawn or garden that needs tending. This model comes fitted with a chemical resistant tank that has a maximum carrying capacity of 26 gallons. It gets its chemical resistant properties from the UV treated polymer used to manufacturer its interior. The pump is capable of achieving a maximum pressure of 70PSI and a flow rate of 2.2 GPM. Like its previously discussed NorthStar counterpart, this model allows you to switch between a cone or stream spray pattern as you see fit. Its nozzle allows you to further adjust your spray from a wide mist to a narrow stream with ease. What sets this ATV sprayer apart from the rest of the crowd is its 100% constant duty rating. This can, however, only be possible by harnessing quality components. As far as quality goes, this sprayer features a Santoprene diaphragm, Honeywell micro switch, and Viton valves. It also features a pressure switch that is capable of decreasing the wear and tear your pump is subjected to by reducing the speed at which the pump is cycling. The ATV sprayer industry has some pretty impressive sprayers. 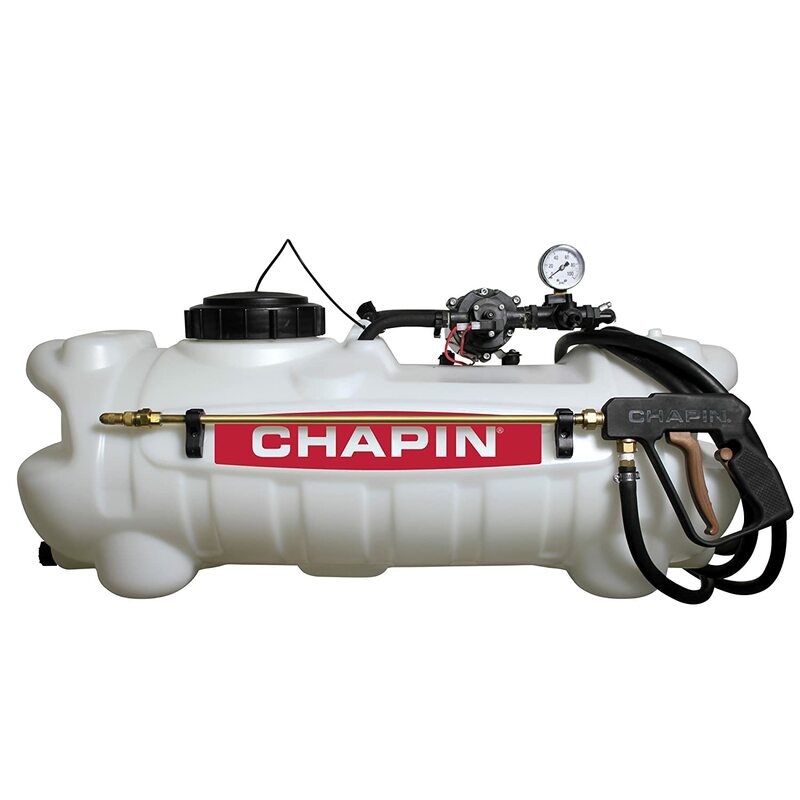 The Chapin 97300 ATV Sprayer is the newest addition to this family. Even as a newbie, this sprayer is causing ripples in the market. It is hailed for its well thought out design and impressive capabilities. 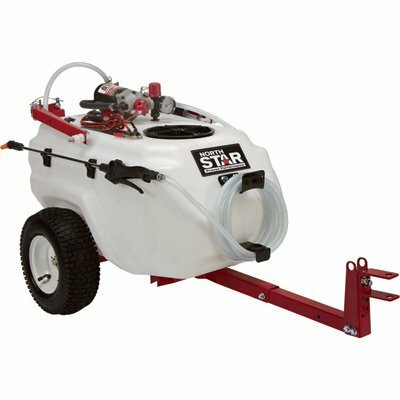 This simple to configure sprayer is designed to be compatible for use with standard UTVs, lawn tractors, and ATVs. 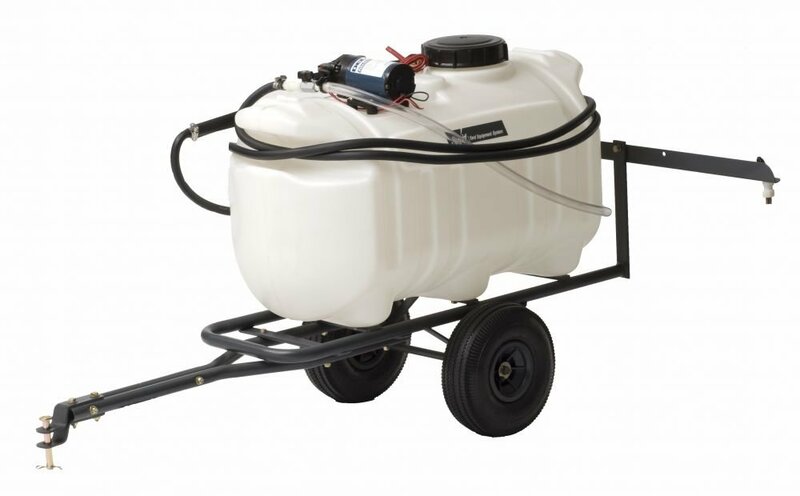 This sprayer comes with a tank that has a maximum carrying capacity of 15 gallons. This heavy-duty tank is made from chemical resistant, translucent, and non-corrosive materials that make it compatible with a wide variety of gardening chemicals. The tank has a five-inches wide opening that not only makes it easy to refill but to mix in products as well. This sprayer comes with a 12V diaphragm pump that is capable of achieving a flow of 2GPMand a pressure of 70PSI. The pump also comes with alligator clips that make it easy to mount. The sprayer is capable of achieving a maximum spray height of 26 feet and width of 30 feet. The sprayer’s design also incorporates a double infiltration system that keeps nozzles from being blocked by residue. This also helps to increase the sprayer’s reliability and efficiency of use. It also comes with a comfort grip lock and a pressure gauge. Among all its impressive features, its dripless technology has consumers lining up for it. The precision TCS25 Spot Sprayer is a tool that will come in handy if you have a large lawn to keep looking nice and healthy. 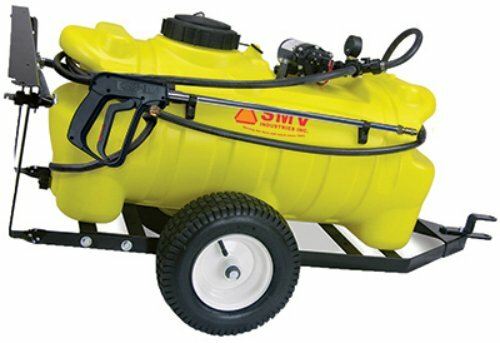 The beauty of this spot sprayer is that it can easily be mounted on any vehicle or ATV. The tank has a maximum carrying capacity of 25 gallons, and it is made from durable plastic. The tank’s drain plug is quite useful when cleaning out the tank. It comes with a pump that can be powered by a 12-volt battery. The pump is capable of achieving a pressure of up to 60PSI and a flow rate of 1.8 gallons per minute. Accompanying the pump is a handgun that has thumb controlled spray wand for ease of use. There is also a 15-foot hose that makes it easy for you to use the pump and effectively spray your lawn. If you are thinking about purchasing this sprayer, then you do not have to trouble about assembly. It comes ready to use. What’s more, this sprayer comes with a 90-day limited manufacturer’s warranty. It measures 31.5 inches in length, 21 inches in width and 17 inches in height. This lightweight sprayer weighs a total of 21 pounds. If you have a rather large lawn that needs maintaining, then this trail sprayer may just be for you. It can easily be used with a UTV or ATV. It features a yellow tank with a carrying capacity of 25 gallons that is held in place by a powder-coated steel frame that is fitted with ¾-inch assembly pneumatic wheels. The 65-pound tank is 45 inches in length, 18.2 inches wide and has a height of 20.5 inches. It is designed for use with a wide range of gardening related chemicals. This sprayer comes with 120-inch wire leads that have an on/off switch. The convenient placement of this switch makes it easier for you to switch the pump on or off when needed. It also has a two-nozzle boom with each nozzle being 41 inches from the other, suction screens, and a deluxe hand wand capable of achieving a stream between 25 and 30 feet. This sprayer will take about half an hour to assemble after delivery fully, but you have a well-written guide to help you so no need to worry about this bit. The boom is capable of achieving a spraying width of up to seven feet when the tips are facing downwards and ten feet when they are rotated outwards. You can always attach a third tip whenever you need. You will agree with me that a well-kept lawn adds beauty to the entire homestead. To keep your lawn looking as appealing as possible, you will need to put in the work and cater to the lawn’s every need. This includes weeding, getting rid of any litter, mowing, applying fertilizer to replenish the soil’s nutrients, and above all watering. Ideally, you want a nice and even healthy looking lawn, not a patchy one. Investing in tow behind sprayer could be the missing link to having that beautiful and plush lawn. Say you have a lawn or garden that spreads over about an acre or two. Having to maintain such a lawn or garden constantly can be rather time-consuming, more so if you are using a backpack sprayer to get all the spraying and fertilizer application done. Investing in tow behind sprayer allows you to significantly cut the time needed to cover every corner of your lawn. You might even have time to enjoy a nice beer or a book or even both after your gardening depending on the time of day. When buying a sprayer you are making a commitment of sorts to the gardening tool. In short, this is a long-term investment. So it helps if you go for one that can serve multiple purposes. A good majority of tow-behind sprayers are applicable when spraying pesticides or herbicides, when applying fertilizer, for watering, as well as applying rock salt. Let’s go back to our earlier two-acre scenario shall we? Now imagine having to do all the spraying while carrying a backpack sprayer. While it is completely achievable, it is rather backbreaking work. Using a tow behind sprayer, on the other hand, is much easier and better for your knees and back as well. So you get to achieve that nice and healthy looking lawn or garden while saving both your back and knees the trouble of bearing heavy loads. Perhaps one of the key reasons as to why you should invest in tow behind sprayer is its ability to keep you from exposing yourself to harmful chemicals. If the tank should leak, you minimize the amount of contact you have with the leaking products. There is actually no contact compared to a backpack sprayer. Tow behind sprayers is gaining popularity owing to their practical benefits. There are, however, a great number of these sprayers in the market to choose from. How then do you know that you have purchased the best tow behind sprayer to suit your needs? Easy, consider the following tips on what to look out for, and you will find yourself with a well functioning and satisfactory sprayer for your situation. Different sprayers are built to be used in various places. Your terrain should guide you when considering different tow behind sprayers. If you are situated in rough terrain, then you are better off going for a sprayer that comes with pneumatic tires. Such sprayers are designed to withstand high impact terrains. If you are in a relatively flat area, then a sprayer with plastic wheels is best suited for you. Since tow behind sprayers is rather versatile they are bound to come into contact with a wide variety of gardening related chemicals. As such, you need to ensure that the sprayer you opt for has a tank that is compatible with a good number of these chemicals. Consider purchasing a tank made from reinforced plastic. Gardening is meant to be an enjoyable task. It, therefore, makes no sense to spend money on a cumbersome piece of equipment. Find a tow behind sprayer that is easy to use and that can be easily adjusted to achieve your goals and reach all the desired areas. Consider sprayers with flow rate and pressure meters, adjustable nozzles and hoses. Also, consider a sprayer that comes with a boom for those difficult to reach areas. The material used to make both the tank and the frame of the sprayer determine its durability and functionality. A fiberglass tank is more durable than a plastic tank but also more expensive. A composite tank is a go between quality and pocket-friendly tanks. Size does matter when it comes to sprayers. A tank with a high holding capacity will allow you to get more work done without having to refill it. If you want to have evenly mixed products as an output from your sprayer then go for one with a diaphragm pump. Do not forget to carefully read your sprayer’s manual to familiarize yourself with the ins and outs of how to properly assemble and effectively use it. Be sure to also keep in mind the required pressure and flow rates of the different chemicals you may be dealing with. Be mindful and always calibrate your sprayer, preferably with water, before using any chemical. Last but not the least, be sure to take good care of your sprayer. If not properly looked after, it does not matter the type of material that has been used to manufacture your sprayer of choice. Neglecting your sprayer exposes it to wear and tear with the result being the loss of functionality much sooner than it is supposed to. Simple routine maintenance practices such as cleaning and proper storage of your sprayer could go a long way in enhancing its longevity. Of the five tow behind sprayers we have reviewed in this guide, our favorite has to be the NorthStarTow-Behind Boom Broadcast and Spot Sprayer. We are particularly impressed with this sprayer’s versatility. It is useful for both precision spraying that can come in handy when you are only targeting a particular weed or area or for broadcasting when you are spraying indiscriminately. We are also impressed by its ability to achieve a consistent and even spray. No more patchy lawns with this baby! It is strong, super compact, and simple to clean. What’s more, you can easily adjust the density of spray coming from the nozzle. It is easy to use — thanks to the elongated wire switch and rather lightweight. The latter feature allows it to be easily pulled by any standard riding mower. Lastly, this sprayer is quite durable. It will be worth every penny spent on it. When you want to achieve a nice and even lawn then switching from using a backpack sprayer to using a tow behind sprayer is not an issue to be debated. Not only does tow behind sprayer make your work much easier and faster, but they are also much more comfortable to use. Choosing the best tow behind sprayer for your needs can be a bewildering task. We hope this simple guide helps make the process much simpler and easier for you. Online Gardening Accessories Stores: Why Is Gardening Necessary?